Up a set and a break, the Swiss lost serve in the sixth game of the second set before his opponent managed to square the match with a break in game 10. The top seed went up an early break in the third and broke Krajinovic in an 11-minute game for a 5-2 lead, only to fail to serve out the match at the first time of asking. But he clinched victory on his second match point to take his career record at the tournament to 67-9 as he bids to reach a 12th successive final at St. Jakobshalle. 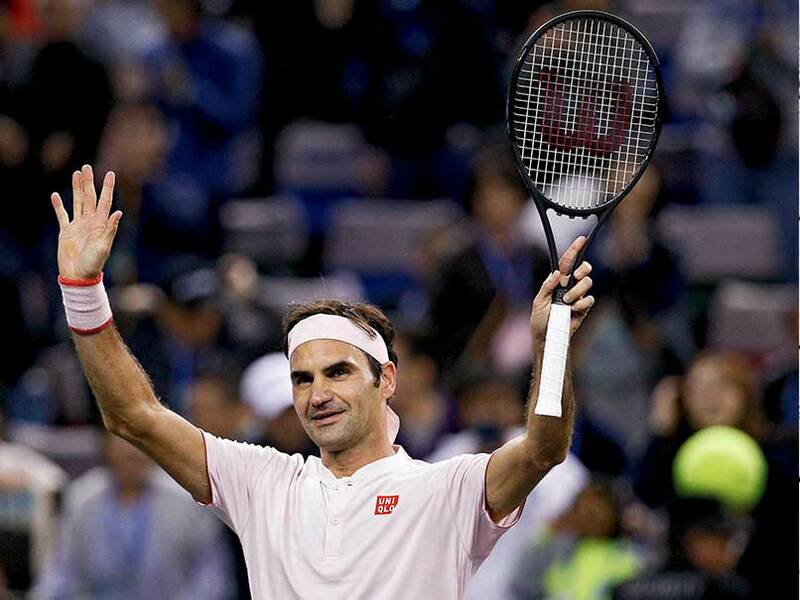 The 37-year-old Federer, who revealed earlier this week that he had been struggling with a hand injury since the grass-court season, last lost at the Swiss Indoors in 2013, going down to Juan Martin del Potro. Seventh seed Daniil Medvedev, a semi-finalist last week in Moscow, saw off German Maximilian Marterer 6-3, 7-5. Russian Medvedev stands at a career-high ranking of 20th, with three titles this season and will next face Andreas Seppi after the Italian defeated Japan's Taro Daniel 6-0, 6-4.